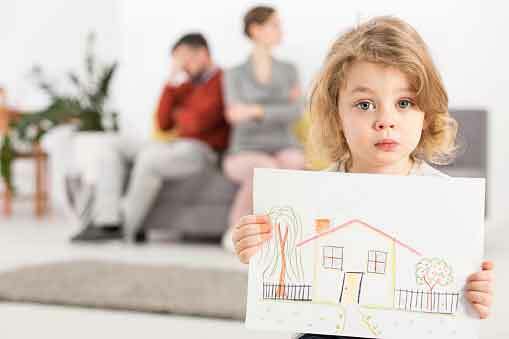 The Bill of Rights of a Child in a Divorce - Law Office of April D. Porter, P.C. To be told that my mother and father still love me and will never divorce me. To be told that the divorce is not my fault and not be told about the adult problems that caused it. To be considered as a human being and not be considered as another piece of property to be fought for, bargained over, or threatened. To have decisions about me based on what is in my best interests, not on past wrongs, hurt feelings, or my parent’s needs. To be allowed to love both my father and my mother without being forced to choose or feel guilty. To know both my father and my mother through regular and frequent involvement in my life. To have the financial support of both my father and my mother. To be spared hearing bad or hurtful comments about either of my parents which have no useful purpose. To be a child and not to be asked to tell a lie or act as a spy or messenger. To be allowed to have affection for the people who may come into my life without being forced to choose or feel guilty.